Dr Slade carries out a demonstration lesson for staff at Jakarta Intercultural School with enthusiastic elementary school students. 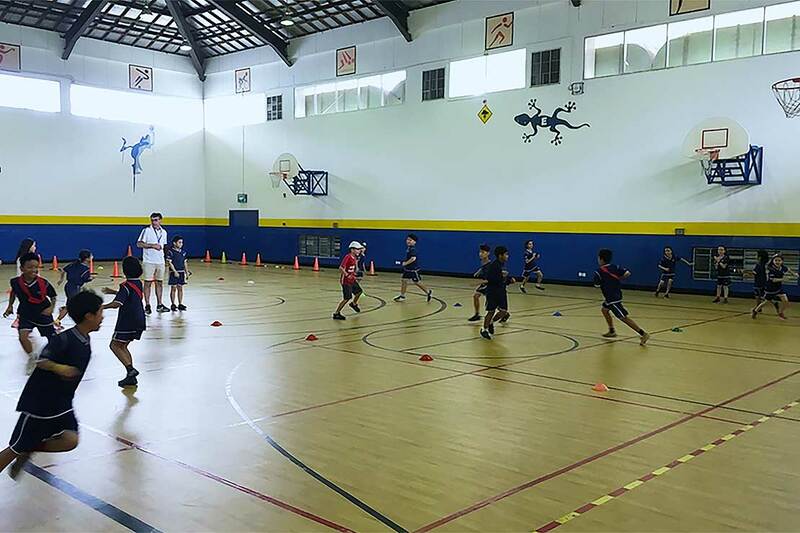 Dr Dennis Slade recently returned from Indonesia, where he was invited to provide consultancy advice on the development of a teaching curriculum in physical education and sport for a private school in Jakarta. 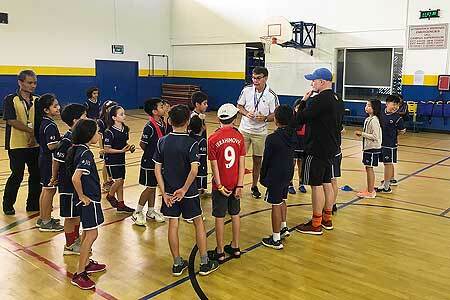 The School of Sport, Exercise and Nutrition senior lecturer says the invitation from the Jakarta Intercultural School was unexpected and when pushed on why they sought his expertise, it was revealed the school had been using his text book, Transforming Play: Teaching Tactics and Game Sense. In preparation for the visit, Dr Slade reviewed various curriculum documents, but says it was not until he spent some time in the environment that he was able to offer more than just theoretical advice. Dr Slade says he is mindful of avoiding the approach of “I know best” scenario. “That approach typically encounters a brick wall of resistance. Aiding my cause for suggesting change was their willingness to also initiate change and the department head being keen to provide the necessary leadership to make the changes sought,” he says. The school is a highly regarded member of the International Schools Group. The school’s roll is approximately 2500, with a ratio of one teacher to every 10 students. “Facilities were mind bogglingly good and the teaching conditions were of the order that one could only dream about in most places in the world. It all comes at a price though, and while the school offered scholarships, for most, very deep pockets are required to attend,” Dr Slade says.